Jon Voight, who gained worldwide stardom when portraying the character of Joe Buck in John Schlesinger’s screen classic “Midnight Cowboy” (1969), has had a long and very productive screen career to this day. Almost fifty years after his screen debut in Philip Kaufman’s second feature, “Fearless Frank” (1967), Mr. Voight still has several new film projects coming up. In this interview from 1998, when he was on location in Belgium for Kevin Brodie’s “A Dog of Flanders”, Mr. Voight talked about his craft as an actor and he also mentioned – very proudly – his daughter Angelina Jolie as an extremely talented and upcoming actress, only shortly before she became the Angelina Jolie. “A Dog of Flanders,” based on Marie Louise de la Ramée’s 1872 short novel published under her pseudonym Ouida, was filmed earlier in the US in 1914, 1924, 1935 and 1959. This was the fifth US version of the story about a Flemish boy Nello and his dog Patrasche, with Mr. Voight in one of the leading roles as a talented painter. He is a four time Academy Award nominee and Academy Award winner for his leading role in the mature and powerful drama “Coming Home” (1978), who also won four Golden Globes out of eleven nominations. 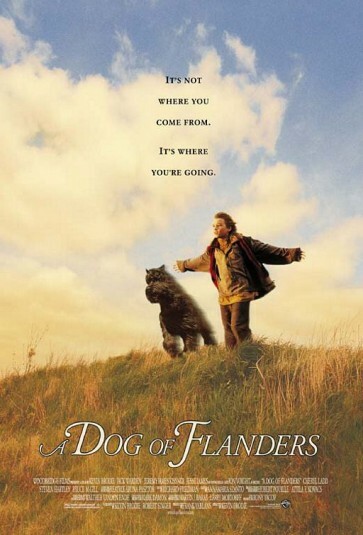 After appearing in Franco Zeffirelli’s version of “The Champ” , “A Dog of Flanders” is the second film you appear in which is a remake. Isn’t it a dangerous move to appear in remakes ? I haven’t really repeated myself in my career, I’ve done very few things one like the other, so this is a departure again for me. I’m glad to be doing this, it’s a lovely film for children and it’s nice to have this generation’s children see it. There are many lessons in it, it gives people hope. It’s a very beautiful film. When “Midnight Cowboy”  was released, you became a star instantly. Yet you preferred character studies instead of star roles. Was that by choice ? It was my taste to do the films I did, those were the films for the most part that I thought I understood and the stories I wanted to be part of. So it’s just my taste, I have no way of explaining other than that. I don’t know what would have made me more popular than what I did, but the roles that I played were the roles that I was interested in as the years went by. But I certainly know the heroic parts, the parts the so-called movie stars play, and I was raised with love for those heroic actors and parts, but for some reason I play more character work. After “Midnight Cowboy”, you appeared in films as “Catch-22” and “The Revolutionary” [both 1970], sort of anti-establishment films. Is that correct ? Those are words from the sixties, anti-establishment. I really always feel it’s interesting to tell the stories that are happening in our time. Every artist is marked by his time, because he’s really trying to speak to the people about his time and I think that’s what I did too: I was trying to speak to the people about my time. So those pieces that you mentioned represent aspects of what I feel is happening and they are useful to reflect on. Maybe sometimes they are warnings in a way what’s happening, or they’re stories of compassion about what’s going on, an attempt for healing. These are all different ideas, but they’re stories of our time. I’m not trying to make stories that are popular in our time, but rather stories that have relevance in our time, a meaning of our time. 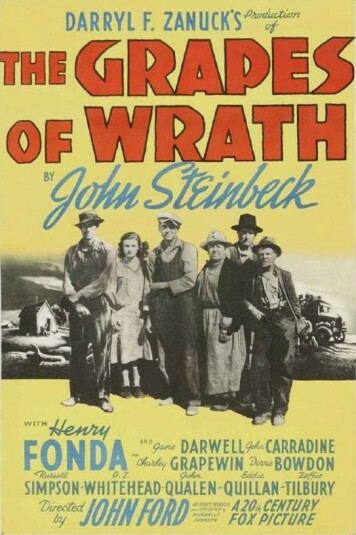 It’s very striking that you very often play enriching parts, parts which make you feel proud to be a member of the human race, parts such as Henry Fonda’s role in John Ford’s “The Grapes of Wrath” . I have a great fondness for that piece, like the ones of Frank Capra, anything that gives us a little hope, but sometimes I made films that are in another genre too, but all of them have meaning to me, for instance “Runaway Train” . It’s about no matter how desperate a person becomes, there’s still that spark of goodness within him which can reignite that person. And it’s an important statement. Wasn’t that film a risk – career wise ? All films are a risk, career wise. I think you do the parts that you find interesting, sometimes you may change your mind about those pieces, I learned from that and I won’t visit that terrain. But I’ve been very fortunate, I’ve done films that were maybe unusual, but I understood what they were saying and I’ve been rewarded most of the time with appreciation from the critics and a good-size audience. “Conrack”  for instance was not a film that was a success initially in the theatres, but it has a tremendous following. It continues to be shown and people come up to me and often talk about it. You are one of the very few actors to portray interesting in-depth roles and who’s popular and well-known to the audience as well, right ? In my generation there are many character actors that have had influence, like Dustin Hoffman, Al Pacino, De Niro, Jack Nicholson. My generation had really good character actors, but then I have been able to sustain some popularity, that’s unusual in a very small group of people. However big it is, it’s a small group of people that can sustain a rather large career doing these kinds of things. So I’m very fortunate. Several films you made are on the surface not very commercial, not as commercial as several of the actors you mentioned. Is that correct? Perhaps, but those people try to maintain themselves in the public eye by doing the kinds of pieces they’re popular for; I’ve done mostly the things that were offered me and that I was drawn to. What is the most gratifying response you ever got? The critics, the audience, someone who comes up to you to thank you? I think the most gratifying is my own judgment, when I look at it and can say: ‘This has meaning, this will be good for people, I’m proud of this.’ When I feel that way, audiences usually will follow, they will respond the way I did. I go to a film and I look at it, and I like it if I get something from it. I’m sure that it has value for others. I usually have been right. I never had a film that I was really in love with in its final form that wasn’t stirring to audiences. Are you still able to judge your own work so objectively after being involved with it so closely? Oh yes; at first it’s like yes, I know where I was when I shot that and that, but it’s the way your contribution has been used by the editor, the musicians, by the final shape of it. I know what I intended and what I gave. If they use it wisely, then it’s another level, it’s somebody using my work to bring the story to me. Therefore it’s almost like looking at somebody else’s work instead of my own. So it’s the storytelling that I’m following, and if they make mistakes, I see those, but if they don’t and if they sometimes help it, they make it richer. That’s a wonderful feeling. Have you ever considered directing a film yourself? Yes I have, and I will. But I have a couple more years of good acting to do; I directed one little film “The Tin Soldier”  for television in the States, and it got a lot of success at the film festivals. It was a popular little piece, so I know I can do that. I did that on a very small budget, on a very short schedule so it was a good test for me. I was very pleased. Looking at the list of films you made, there are sometimes periods of a few years in between. Was that due to your stage work? I did some stage work at that time, but there also have been many things that happened to me in my life, many life changes. My mother passed away and I had been spending a lot of time with her. I mean, we all pass away at one point or another; after a long illness sometimes you’re grateful when the moment comes that the person can be at peace, that the labor is done and that the reward should come. She was very ill for a while, and I spent a lot of time with her and my two brothers. We all took turns taking care of her. What do you consider the highlights of your career so far ? The Oscar, the Cannes Film Festival [both for “Coming Home”, 1978],…? I think the awards are wonderful because they give a tension to good work. I’m very grateful for the awards. I have a film, “The General” , that’s going to the Cannes Film Festival this year. I have a small part in it, but it’s a good part. John Boorman directed the film, it’s the first time we worked together since “Deliverance” . I’m very grateful that Cannes was excited to take it and I know that it will help the film. I hope that it is awarded there, I think it’s a wonderful film [the film was nominated for the Golden Palm and John Boorman won the Best Director award at the Festival]. So the rewards I received have been supporting the films I believed in. The personal stuff is of a different nature. The Academy Award meant that people wanted me to come back, they loved me and they wanted to give me that tension. 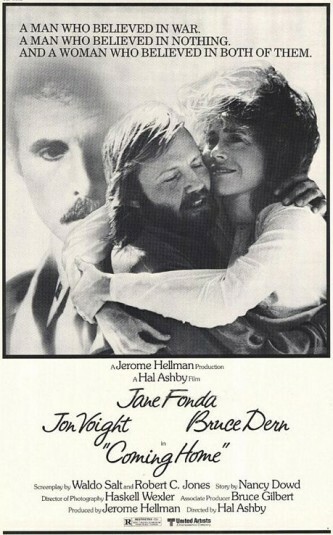 Of course, “Coming Home” was a beautiful film, done by a wonderful director [Hal Ashby], with wonderful actors, and it was a labor of great love for us all. So that was a very satisfying moment. Have you ever considered doing comedy? Yes, I have. I love comedy and I was really raised on the best comedy. I loved comic films of all kinds, great television performers who were splendid, and the old comedies, Laurel and Hardy, and I’ve been successful on stage with comedy. In film I haven’t done very much comedy and yet, all the characters that I do have some humor based to me. You know, lots of the choices I make, are worn of comedy. 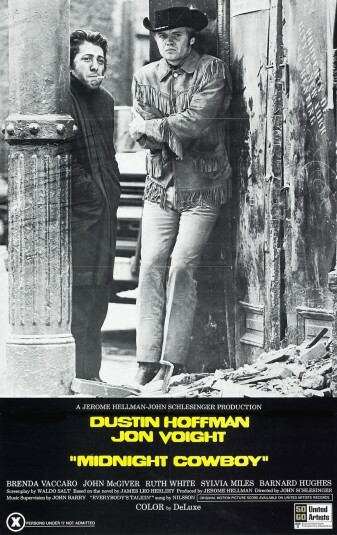 Lots of the stuff in “Midnight Cowboy” , is very comedic. That was a joy to play. I try to put humor in all the films that I do, but I don’t think about it. It’s natural for me to always do things that make me giggle a little bit. Sometimes when you giggle about something, or you laugh about it, it’s usually pretty close to life. You’re usually on to something. Life is very… alive, with amazing, crazy things. Like in “Runaway Train”, I found a lot of comedy, I enjoyed playing the character because he was so audacious, I can remember the scenes very well, what the character said, what he did. It was funny to me, but not funny in the way you would laugh almost from the grotesqueness of from the strangeness, you know. It’s just the organic choices that happen. So I love good comedy. And I would like to take the time, it’s almost like I don’t have the time for it – these pieces that I feel strongly about, not necessarily for my character, but for the story. If it’s an important story, I’m happy to do it, to see if we can bring it as closely as we can be. If it’s a beautiful story, let’s see how closely we can get, that’s the idea. What do you consider your strongest assets as an actor? It’s funny, I can’t be too objective, I’m not analytic about myself that way, about my contribution or what it is. But I seem to know when something is in my range. So what is that range, what does that mean? I don’t exactly know. I know that I’m starting to gain a certain kind of weight as I’m getting older, in terms of the things that I can play, maturity which is kind of appealing to me. I can play many things now that I couldn’t play before. All my roles have to be intelligent – no, that’s not true, I’ve been playing people without intelligence – it’s almost like, I suppose there’s a certain sensibility I have, this is true for every artist that brings a certain emotion to a role. It’s carved out of my intelligence and what’s the strength of it? I don’t know, maybe it’s that I’m always a storyteller. That’s my main strength. I want people to go on a journey, so if I do a character and the character is very authentic, but the story isn’t told, I wouldn’t be satisfied. The story itself is what I’m focused at. When that happens, when the audience goes on a journey, it’s a story that’s being told and then I’m happy. I seem to have a good intelligence about storytelling and I think maybe that’s my greatest gift. Really? Well, I debuted on the stage with ‘Sound of Music’ in 1962. I consider to return to Broadway, but it’s the same as with comedy. But for me, the things that I need to say are not in that genre. I know that I have to do this work, I know that I just have to bring these stories, sometimes disturbing, sometimes brave stories, stories that have a focus to make people aware, to stir them, to change, whatever the point is. Those stories are mine to do and while I love comedy, there are other people who are doing comedies that are making people laugh, they’re doing a wonderful job. In this life I feel that my strengths are in the drama and the dramatic area and I can bring joy to those dramatic areas. It’s like when I saw Laurence Olivier do “Othello”  which was stunning. Although the film is a filmed play, it doesn’t have the cinematic qualities that we enjoy of film, but criticize it is insane because it’s a brilliant, brilliant performance of that role. And anybody who does Othello would better go and look Olivier’s Othello. Not that they should do it the same, but they should know what the journey is about, so they can make their own choices. They should know what he carved the shape of the role for. Some of the things that he chose to do in that performance – I remember vividly seeing that performance on film – I was trying to see it in different places in the world on stage and I’ve missed it several times. And finally the film came out and I was able to see it on film and I watched it and many scenes, almost all the way through it, I was laughing. I wasn’t laughing because it was comedic, I was laughing because it was so right. It was such a proper thing to do, such a proper interpretation. That’s where I find my fun, when I can find the answer in the role. If I could tell a story in a role to bring people on this journey, then I feel the happiness about that. I love the stage, the nervousness before going on stage, that anxious feeling and the worrying that takes place right prior to your stepping in front of the footlights for a big audience, I love it, and I love the idea of every night trying to make it better. Each night, finding a new aspect to try, it’s an indulgence for me because I should be spending my time doing as many film stories and contributing in that way. Aside from that, I have a lot of interest in causes and I’m very watchful about what’s happening this time. I’m very concerned about the children, the new generations of children that we’re passing the world on to, and those are my concerns as well. I feel that I have a lot of things that I have to attend to; aside from being an artist I have other aspects of responsibility. Ever considered running for office? No, I have not considered that, although I’m very interested in the way leadership marks our world. We do need leadership, when we see people make a difference for the positive, it’s a wonderful thing. Because it’s very easy to see the human side and all of the mistakes we can make, but somehow good people can rally together and overcome any problem. When you think of it, so many problems in the world have been overcome, even in my lifetime. There’s been a great battle for racial justice in our country and many major battles have been won in my lifetime. There are other aspects where negative forces have been prevalent and unable to diffuse, but always there is hope and there are individual people and groups of good people who can solve any problem, it seems. So there’s hope. Individual people have made a difference. And there are always villains as well. So I’m interested in politics, but I don’t know that I will be very helpful in that capacity. I’m more helpful as an artist. So you’re not only a great actor, a great philosopher, but also a great painter? You said that, I didn’t say that (laughs)! A great painter? Well, in this role I am. Of course, it’s about Rubens – one of the nice things about my character is, it has nice aspects. I like this character. He talks about art and the boy asks him: ‘Are you a great artist?’ And he says: ‘Well, certainly I strive to be, but unfortunately I think I’m probably not.’ Then the boy talks about Rubens and he says: ‘Well, Rubens had a talent like an eternal flame.’ He says: ‘Well, I just have to be satisfied with occasional flickers – like a firefly.’ It’s a beautiful thing to say, because Rubens certainly was a titanic, a quite amazing talent and he had all the things you just said. He was authentically a great philosopher, a great politician and he was a great artist. The character you played in Martin Ritt’s “Conrack” , is that the character that’s the closest to you? Yes, I agree with that. The humor, his charm, yeah, that’s close. A good choice. THE CHAMP (1979) DIR Franco Zeffirelli PROD Dyson Lovell SCR Walter Newman (story by Frances Marion) CAM Fred J. Koenekamp ED Michael J. Sheridan MUS Dave Grusin CAST Jon Voight (Billy), Faye Dunaway, Ricky Schroder, Jack Warden, Arthur Hill, Strother Martin, Joan Blondell, Mary Jo Catlett, Elisha Cook, Jr.
Posted in Actor, Film Talk and tagged Academy Award, Al Pacino, Angelina Jolie, Catch-22, Coming Home, Conrack, Deliverance, Dustin Hoffman, Fearless Frank, Franco Zeffirelli, Frank Capra, Golden Globe, Henry Fonda, Jack Nicholson, John Boorman, John Schlesinger, Jon Voight, Kevin Brodie, Laurence Olivier, Marie Louise de la Ramée, Midnight Cowboy, Othello, Ouida, Philip Kaufman, Robert De Niro, Runaway Train, The Champ, The General, The Grapes of Wrath, The Revolutionary, The Tin Soldier. Bookmark the permalink.